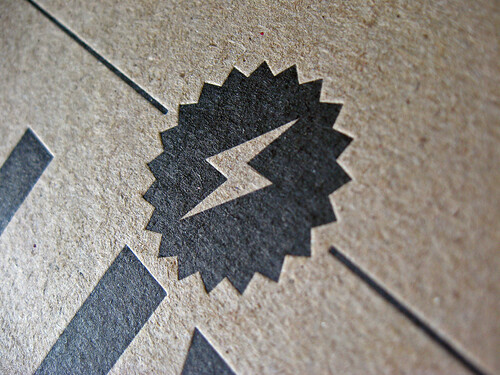 Letterpress covers on kraft paper that are truly shockling! 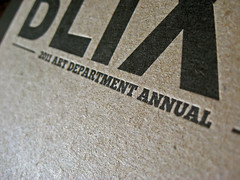 The covers for the Annual Booklet were printed on chipboard equal in thickness to 110lb. 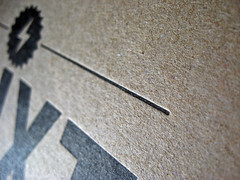 lettra (~ .022″ thick). 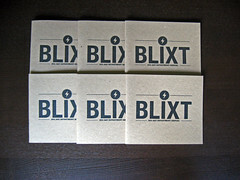 The stock is perfect for letterpress as it takes ink and impression really well. The design for the cover was a collaboration of the entire class. 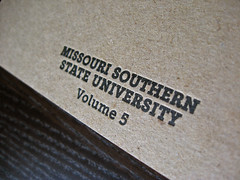 The final size of the compiled book was 8″ x 16.5″. Since the booklet cover was made from one long sheet of kraft paper, we were able to print the front and back in one pass on the Vandercook cylinder press. 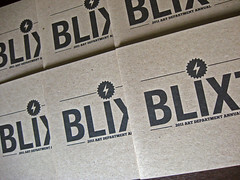 Both sides were printed from photopolymer plates. We made good use of the fountain to ensure the design had heavy coverage, we wanted it to look really bold against the kraft stock. The cylinder press is great because we can achieve a heavy impression even if the design has large coverage. 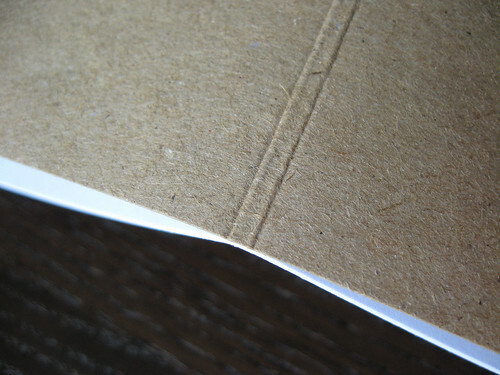 The booklets were finished with a crease along the middle to facilitate folding. We normally use a standard creasing matrix but because the booklet had over 20 pages, the finished books were about 1/4″ thick. 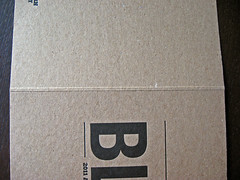 We rigged our own creasing matrix from scraps of matte board and locked up several steel rules to achieve a 1/4″ crease. 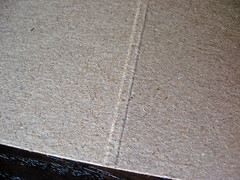 The booklets were bound with a saddle stich running along the spine. 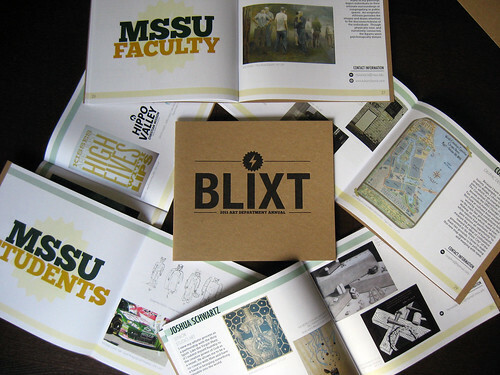 We were really happy to be a part of this project and glad we could put the students designs on paper. 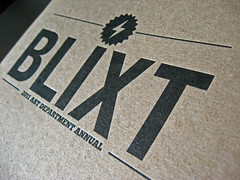 Make sure to check back tomorrow for a post about the art work on the inside of the annuals!